Scifikids in an augmented reality based app which provides immersive 3D experiences of the information increasing your child’s retention power and significantly making the process of learning easier, fun and interactive. Augmented Reality is a technology that merges your physical environment with digitally produced information of the object you see through your camera.It provides new ways to access information and interact with the object you see through the camera lens. The ScifiKids app is an amazing way for kids to learn the alphabets. ScifiKids’ instant image recognition technology brings learning to life, by giving the child an ultimate interactive 3D experience of the object of learning. The ScifiKids app is available on App Store and Play Store with free upgrades. The app works seamlessly on your smartphones and tablets, even when they are offline. Above all, children experience learning! 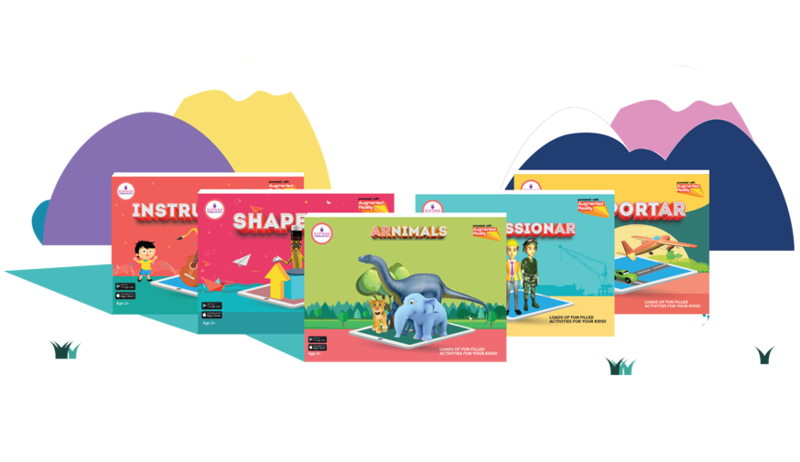 “ARNIMALS” is a animal series kids activity kit under the scifikids app targeted for kids age 3 to 8 years. And we are going to launch our series of activity books for different age groups (3 to 18 years kids). Buy our augmented reality Kids Activity Products at www.scifikids.in, Amazon, Flipkart and all near by toys and books stores.